​Thank you for choosing Archdale Drug, Deep River Drug and Archdale Drug at Cornerstone to be your health care partners! We are committed to providing you with fast, friendly service that is focused on your needs. With three convenient locations serving the Archdale, Trinity, High Point and Jamestown areas, our experienced staff is ready to assist you. ​At each location, you will receive the service of a neighborhood pharmacy, including flu and shingle vaccines as well as complimentary blood pressure checks. Our stores promise to provide you with a friendly atmosphere and minimal wait times, because we know how important your time is. 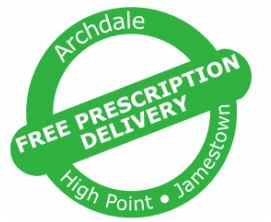 ​Archdale pharmacists and technicians are highly trained professionals, knowledgeable in the latest drug information and available generics. Our two largest stores are equipped with the latest technology in automated pill dispensing and prescription refill. Our pharmacies accept all third party insurance, Medicare Part D plans and workers compensation. 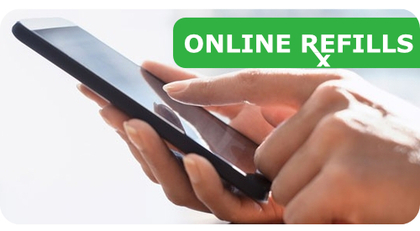 Situated in north High Point next to Oak Hollow Lake, Deep River Drug is easily accessible from the surrounding areas, including High Point University. 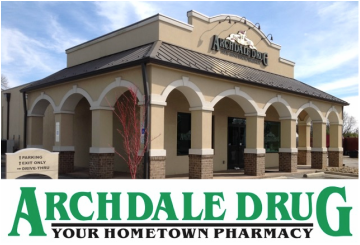 The first and largest of our stores, Archdale Drug is located in the heart of Archdale and offers a wide assortment of health products and drive-thru service. ​Conveniently located inside the Cornerstone Health Care Center, Archdale Drug at Cornerstone is ready to get your prescriptions filled from your on-site doctors and get you on your way.